Please help us recognize outstanding operators in our community! The nominee must be a state licensed pyrotechnic operator and in good standing. The nominee must be a current operator for Pyro Spectaculars. The nominee can nominate themselves or may be nominated by another person. Please complete the form below to nominate your favorite operator. How many years have you been working with pyrotechnics? How many years have you been working with Pyro Spectaculars? 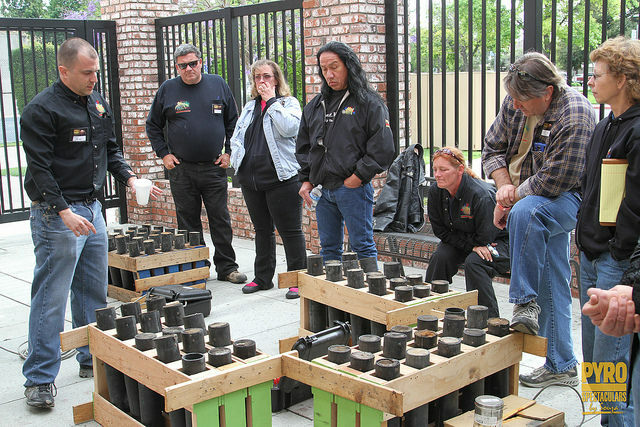 How did you get into the fireworks industry? What do you love most about working with Pyro Spectaculars? Can you share your favorite fireworks show memory? Please upload some photos of yourself, your shows and your crews. Preferably on a fireworks site or something fireworks-related. Please include three to five of your favorite photos. Why are you nominating this operator? Please include a description of your relationship to the nominee, some of their fireworks career highlights and any other relevant information.